A young man leaves his native town in southern France to discover Paris. Being too unexperienced and too naive, he drops into the reality of Paris 1991. He soon gives up his dream of becoming an actor and prostitutes himself. Throughout all these modern relationships, he keeps his innocence but becomes very emotionally blocked. A masterly character study, 5 April 2002 Author: John Simpson (post@jandesimpson.wanadoo.co.uk) from Hastings, England I am unable to escape the impression that French cinema has lost its way in recent years. So many examples I see are shallow and trite. A few of the old masters are still around. Chabrol was almost back on form with "La Ceremonie" (1995) and Rohmer can generally be called upon to delight, particularly with work as agreeable as "Conte d'Hiver" (1992). But what of the younger generation? Erick Zonca's "The Dream Life of Angels" (1998) was a work of masterly perception but it seems to be a one-off. However, although not on this level the films of Andre Techine are worth exploring. 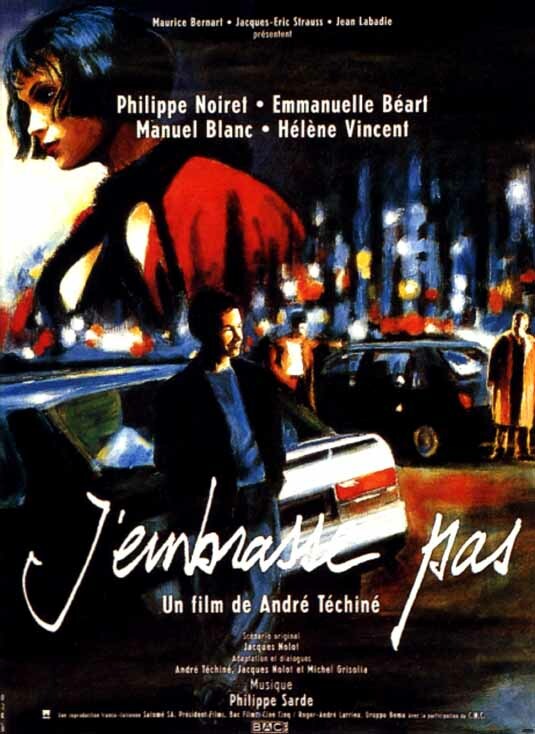 I did not much care for "Les Voleurs", a conventional heist film: "The Young Reeds", although infinitely more interesting, showed some signs of strain in its struggle to focus on a wide range of characters (Techine is no Edward Yang). However of his works I have so far seen I would commend "J'embrasse pas" as a welcome ray of light in the French darkness. 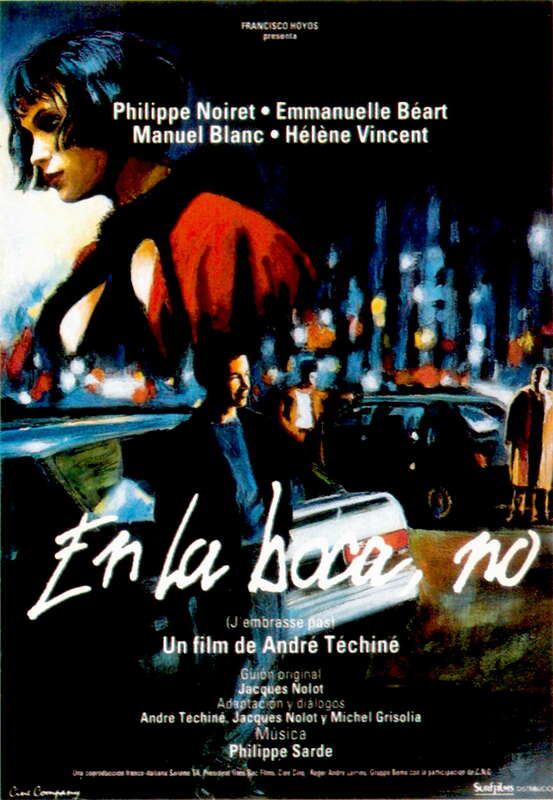 Although, as in Techine's other work, there is still rather too much peripheral detail that does not always illumine the situation of the central character, there is no denying that this is a masterly study of a young country innocent who comes to Paris to make a career for himself, totally unaware of his intellectual and social limitations. In Manuel Blanc's Pierre we have one of the outstanding performances of French cinema. We are able to empathise with this young man to an extraordinary extent, so much so that our gradual understanding of his shortcomings is a process almost as slow as his. When he breaks down during an unsuccessful attempt to get into a stage character he is trying to portray we feel his humiliation deeply. Although Pierre is heterosexual his adoption of the role of a rentboy after this is all part of the process of the inevitable downward spiral. That he emerges from degrading experiences unbeaten and ready to take on Paris for a second time reveals that he has gained a certain strength if only through learning to posture. Psychologically it all rings terribly true.